A Jacketed Hollow Point (JHP) made with a gilding metal jacket and a soft lead core. The jacket is specially scored inside and out to ensure uniform and rapid expansion. This is a Non-Bonded used for both self-defense and hunting light game. 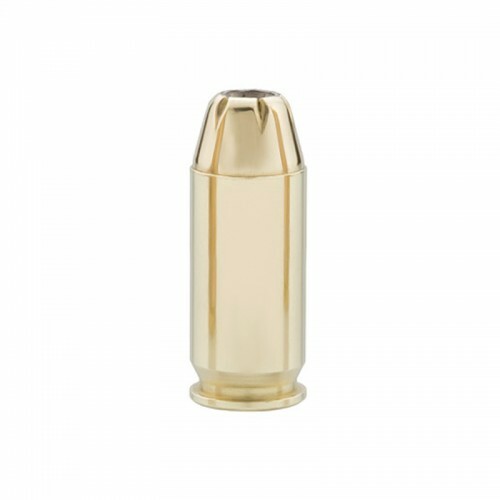 This bullet mushrooms in the traditional sense to typically 200% original diameter. The jacket and lead peel back to the bullet base.